Coins 51 Mn. Fonteius C.f. 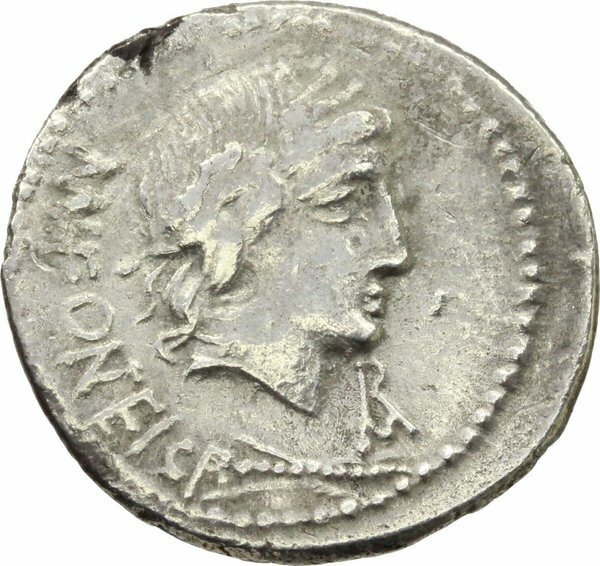 AR Denarius, 85 BC. D/ Laureate head of Vejovis right, MN. FONTEI. C.F behind, thunderbolt below head, monogram of ROMA below chin. 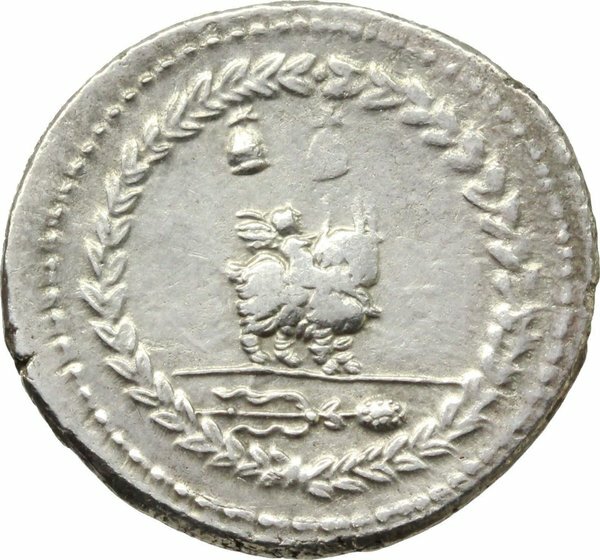 R/ Infant winged Genius seated on goat right; above, caps of the Dioscuri and below, thyrsus. All within laurel wreath. Cr. 353/1a. AR. g. 3.53 mm. 21.00 Weakness, otherwise about EF. Well centred on a broad flan.